Players enter on one side of the obstacle and tackle their way through football player inspired pop-up obstacles to reach the exit slide at the end. Great styling on this unit with digital printing and large football inspired elements. This unit promises to be a big hit with all sports fans. 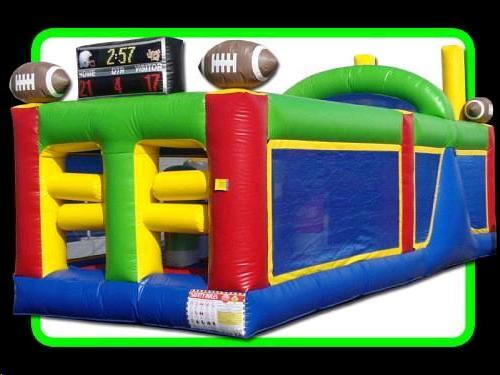 * Please call us for any questions on our inflatable football obstacle rentals in Cornelius NC, Lake Norman, Mooresville, & Davidson, North Carolina.